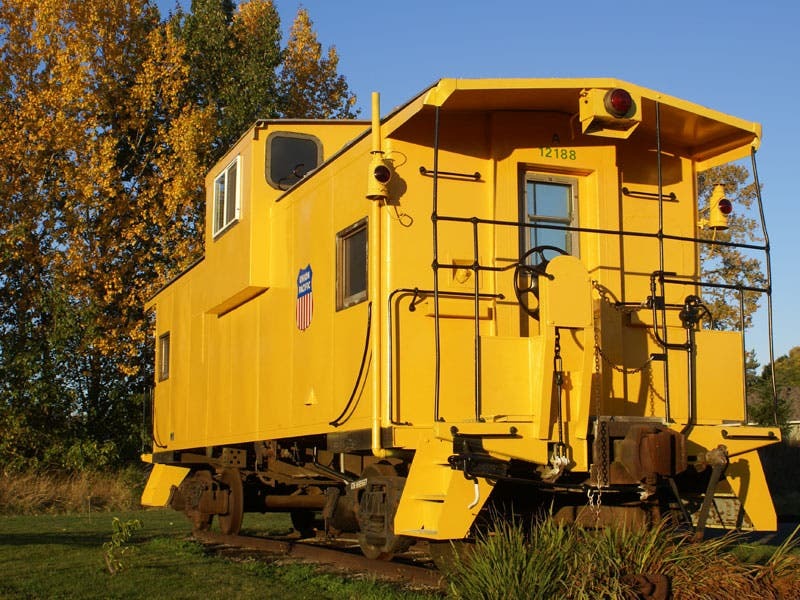 During the heyday of railroad travel, a train caboose was usually reserved for the railroad crew and given playful names such as “monkey wagon” or “dog house”. These days, with train travel less preferred, the caboose is in danger of disappearing. However, train enthusiasts will purchase a hardy, little caboose for a city landmark, a museum or even a tiny house. 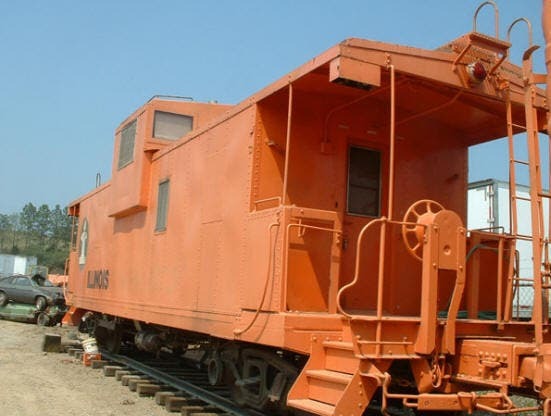 You can purchase a caboose from several brokers or even government liquidation services. Most railroads stopped using them around the 1980s, and quite a few went to scrap, so the prices of the ones that are left have increased. They can be very heavy at around 25 tons, and around 15 feet high if equipped with cupola. They are usually around 10 feet wide and 30 to 40 feet long. Cabooses are made of heavy steel (most wood cabooses are long gone) and their condition and value vary widely. 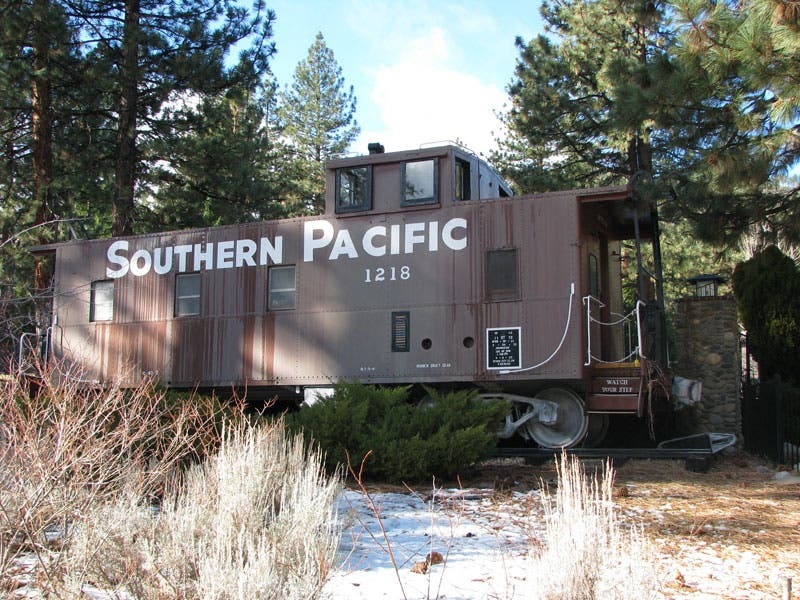 What you want to look for is a refurbished caboose or a caboose that is railroad surplus. You will have to pay to have the caboose moved by rail or truck to your property. 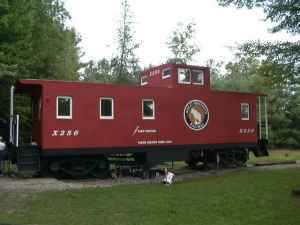 If you want to try living in a caboose, I found this post on the New Hampshire Craigslist for a caboose for rent. For $250 a month and a $250 deposit, it comes with water and sewer included. Before you choose to buy a caboose, why don’t you stay in one? 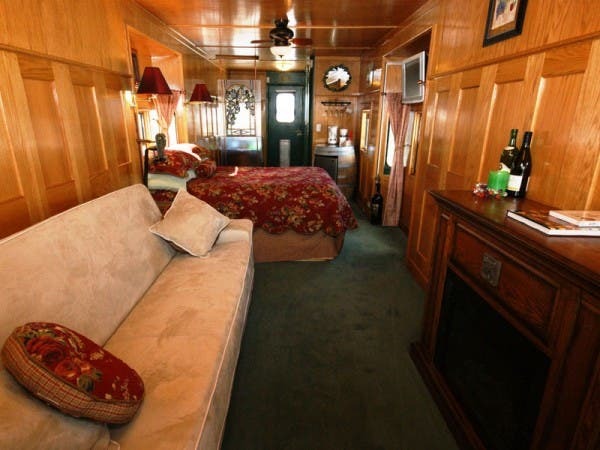 There are dozens of hotels and B&Bs that have turned railcars and cabooses into small rooms or cottages. 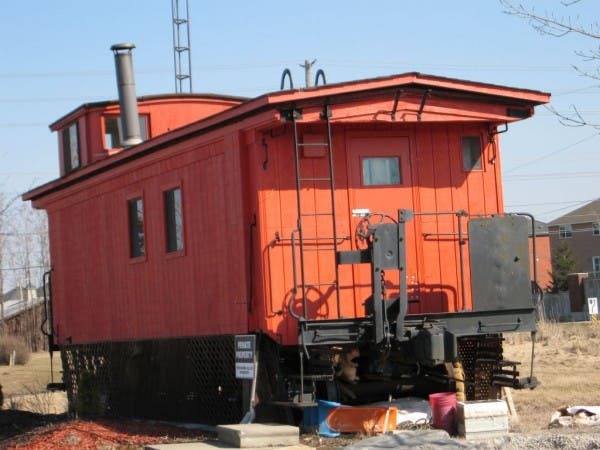 This caboose near my home has been used as a guest house. My wife and I spent a couple of years tracking down a reasonably priced caboose to use as a guest house. We found that locating an inexpensive caboose wasn’t difficult ($5K to $10K will get you into a caboose no problem) – the challenge came when we factored in the shipping expense. Figure at least $3.00 a mile for a drop deck trailer, plus riggers and cranes on each end of the job. By the time we worked up the numbers we would have as much money (or significantly more) in transportation and set-up as we did in the purchase of the caboose itself. Incidentally – by set-up I am not even starting to include electrical service, water, sewer, and air conditioning. We’ve moved on to more cost effective ways to create a unique guest / living space, but the allure of an old caboose is still strong. 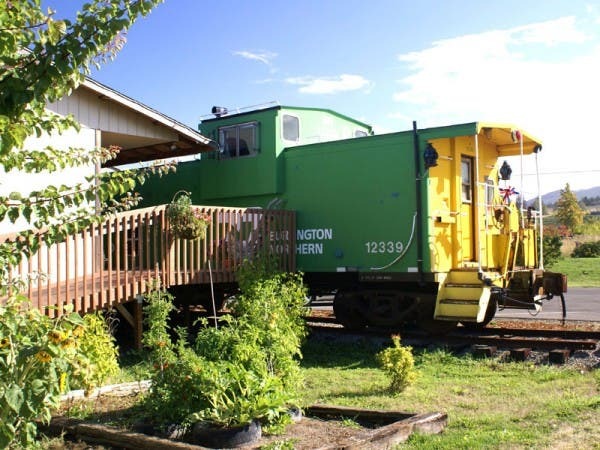 Here is a great example of an neat, affordable, caboose in good shape that can be purchased for a very reasonable price. I am personally familiar with this caboose and have spoken to the (very nice) owner. The big challenge here? It’s located on a mountain / hill and will have to be picked up from the owner’s back yard with a very big crane capable of lifting it over a portion of the owner’s house. YIKES! I live full-time in a Soo Line caboose (wooden) built in 1909. I have had a bathroom added to the back so as not to change the look from the front. I have a 337 sq. 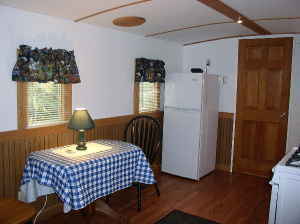 ft. fully equipped living space including washer/dryer and dishwasher. Much more space than you would think. It sits on 30 feet of track in the middle of my 5-acres in NE PA. If you would like to see pictures, they are on facebook.If you have questions, I welcome emails. 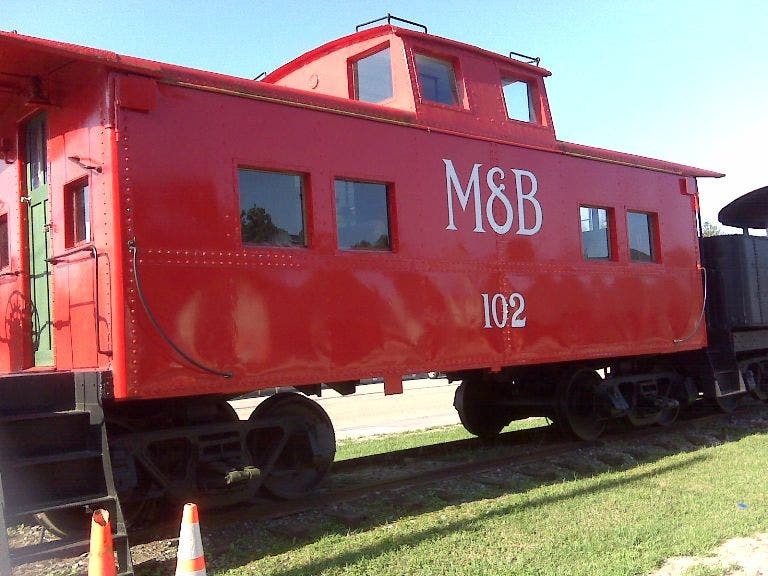 Thanks Michael for the information on your personal experience purchasing a caboose! …regardless of the cost of moving one, they still cost LESS than some of the other Tiny Houses we have seen. Cool thread. I too love the idea of a caboose cabin/rec space but the dang transportation dollars get in the way of actually diving in. Thanks for posting this. This is such a cool idea. We have a neighbor who is set on getting a caboose to use as a guest house. I took a look at the caboose hotel directory…they missed Strawberry park Hot Spring near Steamboat Spring Colorado…we stayed in a caboose there…it is an old time wooden one. I posted a pic on my blog page. click y name above to view it. I inherited a caboose that is in very good condition that I’m interested in selling. Only serious buyers should contact me at my e-mail address. 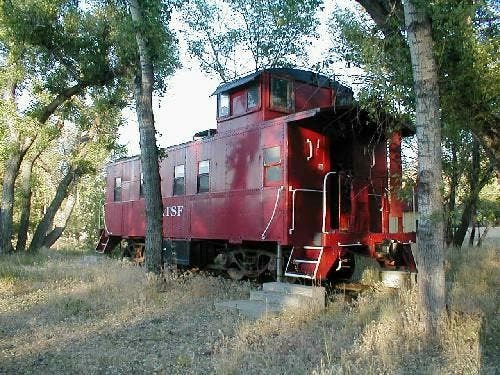 (LS&I RR Caboose). DO YOU STILL HAVE THIS CABOOSE AND WHERE IS IT? So, among all the disadvantages, I can now see one advantage of owning property next to the railroad tracks. I’m glad I spotted this article in the random photos sidebar. I’ve been wanting to find a source of railroad furniture for my home which has a long narrow room that I’ve been thinking of setting up like a railroad passenger or dining car. I’ll have a look at some of these sources. Anyone know what the curved handrail(?) on the lower corner on the sides of most of these cabooses is for? Those handrails are for grabbing onto and stepping up onto the step while the train is moving. The shape is just a little more helpful than a hard 90′ angle. I miss the days of watching the switchmen smoothly glide up and down the side of a car. On the Union Pacific, we’ve pretty much done away with getting on or off moving equipment all together. But that should answer your question, it’s for assisting in getting on or off the caboose while it is moving. 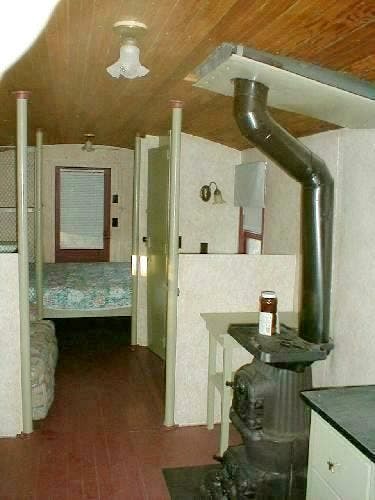 The downside to cabooses as “living quarters” is that they are typically very badly insulated, if at all–painfully cold in winter, unbearably hot in summer. After all, it’s just a steel or wooden box, without even the insulation applied to camper trailers. live in Nebraska. Please notify us. The workmanship is excellent. Did you do the work yourself or did you have someone do it for you? Hi! We have recently completed a 1880s style vintage boxcar that can be trailered anywhere anytime without a need for cranes and permits. It is an accurate reproduction of an actual narrow gauge boxcar. Our website has more information and pictures. Our newest project is a 1880s narrow gauge caboose and everyone is invited to follow our build. Thanks for the great article.